Consumers around the world are demanding transparency and authenticity in every facet of their lives. 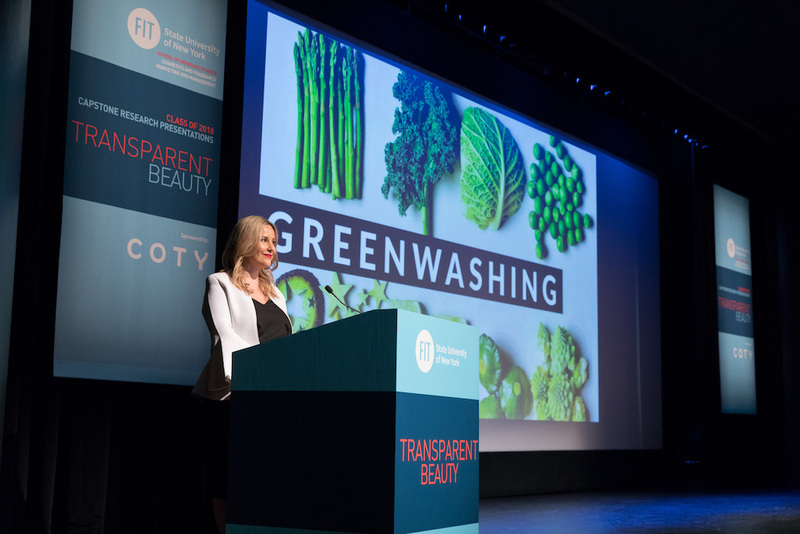 This is manifested in our political climate, in the fast-changing world of advertising, in our fixation on natural and organic foods—and, increasingly, in the call from consumers for transparency in beauty. But what does “transparent beauty” really mean? Is it a call for clean cosmetics? Is it a demand for insight into how our beauty companies source their innovations and run their business? Or something else entirely? “The rise of technology and access to information on demand has shifted control to the individual. Newly empowered consumers, now more knowledgeable and vocal than ever before, are adding to the erosion of trust that fostered the current demand for transparency,” stated the beauty industry professionals in the Fashion Institute of Technology’s Master of Professional Studies program in Cosmetics and Fragrance Marketing and Management (CFMM) at the program’s annual Capstone Research Presentations, sponsored by Coty Inc., on June 13 in New York City. Jennifer Nuttall, Global Marketing Director, Elizabeth Arden Fragrances/Revlon, presents findings at the 2018 Capstone Research event on Transparent Beauty, presented by the graduating class of FIT’s Cosmetics and Fragrance Marketing and Management Master’s Degree program. To reach their conclusions, the 2018 CFMM graduate students examined data, conducted extensive global research, designed and fielded the 2018 FIT Transparency Perception Assessment Survey, and interviewed industry executives, focusing on two key areas: (1) Clean Beauty—transparency as it pertains to brands and products; and (2) Glassbox Organizations—corporations thriving in a transparent world. The following are highlights of their findings, predictions, and business imperatives. 2018 FIT Transparency Perception Assessment Survey: The proprietary survey discovered that consumers crave communication, accountability, and values from both brands and beauty industry employers. Lack of transparency is impeding the consumer path to purchase as well as the employee pursuit of purpose. 72 percent of consumers want a brand to explain what the ingredients do. 42 percent of respondents feel that they do not get enough information from brands on ingredient safety. 60+ percent of consumers want brands to identify sources for ingredients. 90 percent of respondents believe natural ingredients are better for them; however, only 10 percent of respondents use products made only with natural ingredients. The following four elements represent a transparency gap that exists between brands and consumers. Knowledge: There is too much data and not enough information. The lack of clear information is impeding the path to purchase. Consumers are turning to naturals because they think green is clean. Companies need to: 1) Empower consumers through education by making owned media platforms an encyclopedia and share short, “snackable” content. 2) Leverage Google Translate and Google Lens technology to create the clearBEAUTY app, which will allow consumers to translate ingredient lists and to comparison shop in real time. Authenticity: Knowing what is in a product and what it does is not enough. Consumers want to authenticate where it comes from and what it claims to do. Companies need to: 1) Ensure authenticity and protect consumers by adding clear dates to all products: batch date, production date, and expiration date. 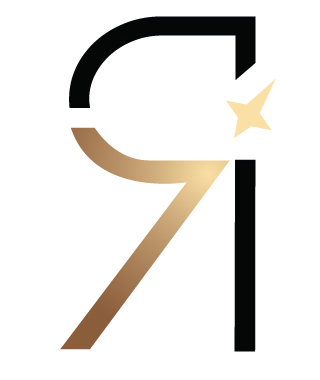 2) Leverage blockchain and crypto-anchor technology to validate the product journey from source to skin, while also combating the industry’s gray market and counterfeit problem. Collaboration: Niche or heritage, mass or prestige, retailer or distributor, partner or competitor, the industry must come together to answer the consumer demand for transparency. 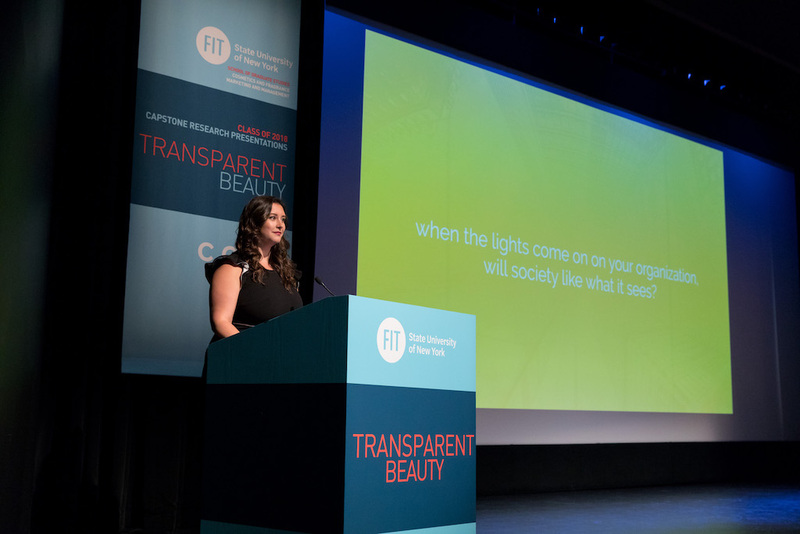 Jessica Bibby, executive director, product & trade marketing, Aramis & Designer Fragrances, Estée Lauder Companies, presents findings at the 2018 Capstone Research event on Transparent Beauty, presented by the graduating class of FIT’s Cosmetics and Fragrance Marketing and Management Master’s Degree program. In order to achieve success now and in the future, companies must create a structure to respond to these growing demands. This means laying a foundation that allows for responsible and transparent corporate governance. In a world where information is impossible to hide and constant change is the norm, companies—like countries—are being held to a new level of scrutiny. It is not enough to talk the talk: action is required. If not, employees and consumers will migrate.